The legalization of recreational cannabis use in Canada, scheduled for October 17, 2018, is raising concerns about whether more people might start driving while high. It is illegal to drive under the influence of alcohol or drugs in Canada, but a recent study led by Dr. John Staples, a Vancouver Coastal Health Research Institute researcher who studies traffic safety, found the risk of a fatal traffic crash increased on the day of the annual cannabis celebration called ‘4/20’. Staples shares insights on common questions about cannabis-impaired driving. Q: I know driving while drunk is bad, but is it really dangerous to drive after consuming cannabis? A: Our research study compared the number of fatal traffic crashes in the United States between 4pm and midnight on April 20--the day of the ‘4/20’ celebration--with the number of crashes during an identical time interval on two control days, a week before and a week after April 20. Over a 25-year study interval, we found the number of crashes on April 20 was 12 per cent higher than it was on control days. Most concerning was the subgroup of drivers aged 20 and younger, for whom the crash risk was 30 per cent higher on 4/20 than it was on control days. While several factors may contribute to increase in crashes on April 20, the simplest explanation for our findings suggests that 4/20 cannabis use increases crash risk. Q: What can people and policymakers do to keep our roads safe on 4/20 and year round? A: My first recommendation is: Don't drive while high. Many studies suggest that cannabis impairs the ability to drive and increases crash risk. A second take-home message from our study is that the youngest drivers may be the most vulnerable to the effects of the 4/20 celebrations. This corresponds with what we already know about young drivers' susceptibility to alcohol and distracted driving. Our policy response needs to focus on the youngest, least experienced and most vulnerable drivers. Finally, we would also like organizers of 4/20 events and music festivals to protect festival participants by reinforcing the dangers of impaired driving and by making safer transportation a part of the festival plan. This could include public transportation, ride sharing and designated driver programs. Q: Given the dangers, why do people still drive after consuming cannabis? A: One problem is the common misperception that cannabis does not impair people behind the wheel. A recent survey showed that 48 per cent of cannabis users in Ontario do not believe that cannabis makes them a worse driver. We know this belief is incorrect. We know that cannabis impairs reaction time, which can heighten the risk of crash. Many other studies have linked cannabis use to crash risk. Q: Will legalization increase traffic crashes? A: Reassuringly, studies have not found a large increase in crashes after legalization of recreational cannabis in several US states. The fact is that some drivers are already driving while drug-impaired. About one in 20 drivers on British Columbia's roads and one in six Canadian drivers killed in crashes have detectable levels of cannabis in their blood. It is likely that some proportion of these drivers were impaired by cannabis. We don't yet know if legalization will increase the number of cannabis-impaired drivers on Canadian roads. For some perspective, keep in mind that alcohol is a factor in about 30 per cent of fatal crashes and that blood alcohol concentrations above the legal limit are associated with an eight-fold increase in the risk of crash. As a society, we need to redouble our efforts to prevent drunk driving. Efforts to prevent drugged driving should be part of that endeavour. We all deserve policies that prioritize public health and keep our roads safe. 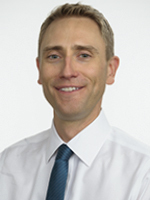 Dr. John Staples is a VCHRI researcher and an academic general internist based at Vancouver General Hospital and St. Paul’s Hospital. He is a clinical assistant professor in the Department of Medicine at the University of British Columbia (UBC) and a scientist at the UBC Centre for Health Evaluation and Outcome Sciences. C2E2 Rounds are presented Mondays from 12:00 pm to 1:00 pm in room 700 of the VGH Research Pavilion, 828 West 10th Avenue, Vancouver, BC. No Rounds - Happy Easter!